Providing us with your personal information makes it easier for us to make our website relevant to you, communicate with you, assist you in making a purchase of our products, and allow you access to certain limited-entry areas of our site. The personal information you provide us may be stored and processed in which we or any affiliates conduct operations. By submitting such information, you consent to the transfer of such information outside your home country. The site will strictly manage and protect the personal data you offer to us. And your personal information will be kept confidential unless you clearly state in the relevant part of the Site that you agree to expose one or some parts of your personal information. Any information about you will not be exposed or sold to the third party. Except the confidential data explicitly stated, any other information you provide to the Site, including problems, suggestions, opinions or the like will not be regarded as confidential. 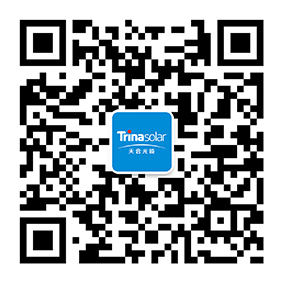 Trina Solar's website contains links to other sites, and we are not responsible for the information collection or privacy practices, or the content on those sites.